Shallow breathing denotes two separate processes. One refers to the mechanics of breathing while the other refers to the volume of breathing. Mechanics indicates problems connected with chest or thoracic breathing while the volume involved while breathing may be too small when measuring the tidal amount of air during an inhalation. Normal or healthy breathing is of a smaller tidal volume and is mainly controlled by the abdominal and diaphragmatic muscles. Shallow breathing is mostly caused by hyperventilation and this is the process of breathing in more air that what is normally required. In normal circumstances, hyperventilation does not significantly improve blood oxygenation. When we breathe normally, arterial blood gets almost 99% oxygen saturation. 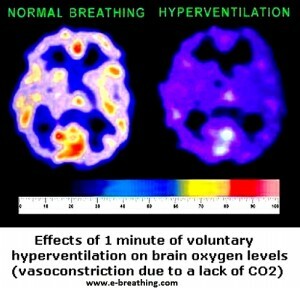 Breathing in more than normal volume of air per inhalation will reduce the levels of carbon dioxide in arterial blood. It also results in reduced delivery of oxygen to the leading cells. This is referred to as hypocapnia and it can being about spasms in all the body muscles, particularly in the diaphragm, arteries, colon and the airways. Shallow breathing may also be triggered by high levels of stress, anxiety, sleeping posture, fatigue, breathing heavily through the mouth and from various other factors that produce hyperventilation. 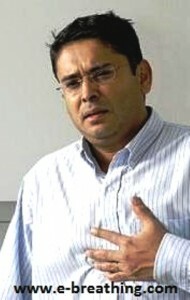 The symptoms of shallow breathing are unique and they can result due to various reasons ranging from dyspnoea to emphysema and from cystic fibrosis to terminal illnesses. You will find cases of shallow breathing among people who have a blocked nose and in those who suffer with angina pain, anxiety, constipation, fatigue or sleep apnoea. Breathing normalization is generally the solution for hyperventilation that causes chest or shallow breathing. This is easier said than done as it is quite complicated to put it in practice; it requires correction of the unconscious or automatic pattern of breathing that goes on throughout the day. Does shallow breathing indicate low tidal volumes of air during inhalation? Healthy and normal diaphragmatic breathing uses shallow or small volumes of air while drawing a breath in reference to tidal volumes of inhaled air. This is the ideal breathing pattern for maintaining maximum levels of body oxygen. As a result, it is understandable when healthy people are not able to sense their breathing or respiratory movements. People who are ailing tend to have deep and heavy breathing patterns which are often noisy. They will be able to experience air movement in nasal passages and shallow breathing will result in heavier chest movements. They will also be affected by hyperventilation which is also the main cause of shallow breathing. • Healthy children between six and ten years of age with normal patterns of breathing are able to feel their own breath even with smaller volumes of air inhaled. This is because they are acutely aware of the sensations in their body. • Conversely, senior citizens or elderly people do not feel much about the heavy breathing sensations even when they are breathing twice as fast as the younger children and the normal volumes required. This is mainly because they have not been able to focus and pay attention to their breathing patterns for decades. 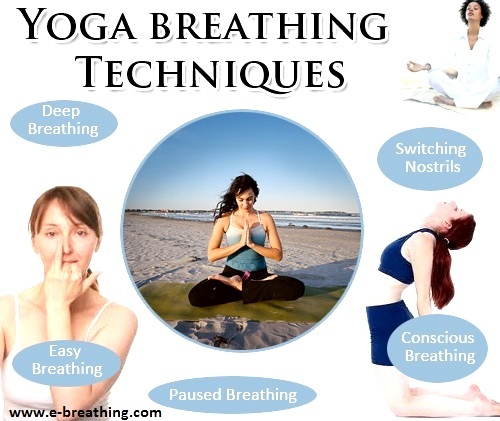 People who are able to have sharp perception of their breathing patterns are those who learn and practice techniques of breathing retraining such as the Buteyko Method (fast results) or the Hatha Yoga method (may take years of practice). They will have greater perception of their breathing pattern even when they are breathing less or slower than the functional norms in physiology. The case will be the same if they are experiencing automatic or shallow breathing. This is as a result of their conscious focus on breathing sensations during their practice sessions, particularly during the shallow breathing methods taught by the Buteyko concept. It is an exercise that shows how to manage reduced breathing as demonstrated in these videos, http://www.youtube.com/playlist?list=PLA4AE024FFC32D6EF. The ancient Hatha Yoga documents are filled with quotes and instruction manuals on how to restrain breathing and slow it down. Following these techniques helps in increasing body oxygenation. But it works too slowly. One may require years to achieve unconscious (automatic) diaphragmatic breathing day and night (or 24/7). 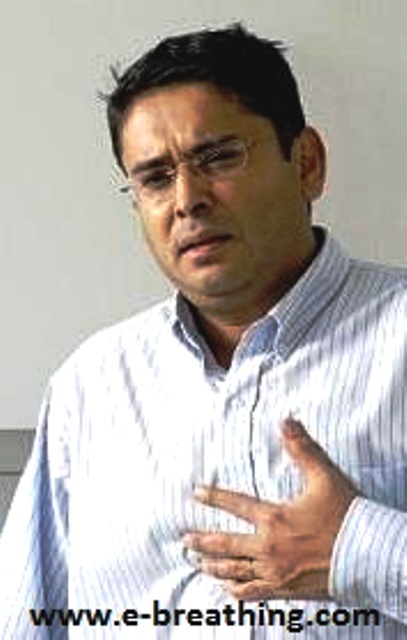 In this 2 minute YouTube video, Dr. Artour Rakhimov explains the requirement and goal of his students (results for the body oxygen test) that leads to using the diaphragm all the time automatically. With the Buteyko method and breathing devices, one can treat shallow breathing and achieve abdominal automatic breathing in about 2-4 weeks with more than 30 seconds for the morning body oxygen test.